Sajid Nadiadwala, who celebrates his birthday today, is one of the leading producers in Bollywood. 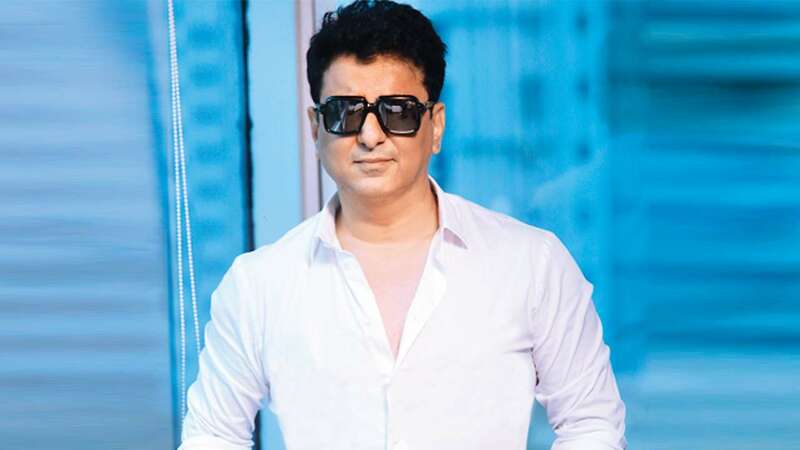 With a bevy of superstars queuing up to associate with him and several fresh faces being launched by his banner, Nadiadwala Grandson Entertainment (NGE), his production house, has catapulted itself into the biggest league. So, frankly, he has something to celebrate all through the year. But birthdays are extra-special. Currently, your banner is a front-runner with you producing multiple projects. Are you happy with the way things are shaping up? You become big only when you have great stories to tell. Sometimes, somebody has a great year and at times, they don’t have much to do. For example, 2014 was a big year for our company when we had Highway, Kick,2 States, and Heropanti. Then, in 2016, it was followed by Housefull 3. I’m lucky to have a great pre-production team, which takes care of things. And, it has been like this right from 1987, when I started working. Whether I have three films or six, they have always been there for me. For instance, Baaghi 2 was supposed to release this April and we were almost struggling to meet that date, but they assured me we could do it. Now, we have advanced the release date to March 30. So, you can see how my team has been functioning. There’s a great work culture at Nadiadwala Grandson. It’s true that I’m heading the organization, but there are some brilliant minds here. All of them are working towards making our banner a good, entertaining company. When you pick a film, what’s the one thing that you look for? There are two types of productions that I undertake. One is the kind of people whom I give a break too, where I’m like a driver to them. There is another set, whom I sign in order to learn from them. I’ve worked with Imtiaz (Ali), Vishal (Bhardwaj), Kabir (Khan) and now Nitesh (Tiwari). These are the people you work with to learn about filmmaking. You get to sit with these creative minds and understand things the way you never did before. That’s great. Over the years, has the perception of success and failure changed? My only problem is that I’m too sensitive about my movies. I feel each of them has to work and consider every film as my last one. That’s also one of the reasons why I’ve survived 30 years in the industry. Every time I pick a story to tell, everything comes down to the release and for me, it’s always ‘this is it’. At any given point in time, I’m not complacent. I’m excited, overburdened and stressed when a film releases. I check whether I’ve made a good decision. It’s everyone’s journey after all and sometimes, they look up to me. They feel that since my track record is good if I’m green-lighting a project, it would mean it’s good. But honestly, that stress helps me more. If I’m easy and relaxed, I may not work that much (smiles). How do you deal with a movie’s failure? Luckily, that has happened only twice or thrice in these 30 years. Otherwise, all my films have done well. Only a couple of them didn’t and it was shocking. It hurt me. At that time, I just went into my shell and tried introspecting why it went wrong. Have you ever looked back and thought you could have made a film better or in a different way? When I see my movies on the editing table, I do think I could have done them a certain way. The satisfaction is never there even when I’m directing a film. You need to have the feeling that you could have done this better. Only then you will improve. You should never reach that point of saturation where you feel this is the best I could do. No director or producer can think like this. When you release the film and watch it on satellite TV again, you tend to think why did I even take this shot! Is there something that you would never do as a producer? I would not like to produce anything which has a negative feeling. I’ve never done it in the last 30 years. I don’t even watch such films. I need movies that end on a positive note. I’d never produce something that’s a downer. The team wanted to launch Housefull 4 and Nitesh Tiwari’s next on your birthday. What’s the plan? They are working on them. Housefull 4 is a big-star cast film, so there are a lot of permutations and combinations. The only people who are confirmed for it are Akshay (Kumar) and Riteish (Deshmukh). There are a lot of other names coming up, but the right time to announce it is only when they sign on the dotted line. There are a couple of more actors in the movie. They are not waiting for my birthday, but they’re waiting for the script to be narrated, which is taking time. Every time you have somebody new, it’s not easy because it’s a successful unit and there are few people who are always part of it; so the new ones also need to be comfortable with them. There’s a way these films are made and there are a lot of improvisations and on-set chemistry. All these factors have to be considered while casting somebody. In a previous interview, you had said that Housefull 4 will have all the actors from the franchise. Is that the plan? It’s not true. These things were said even before the script was penned. But only when it falls into place, you can decide who to approach. Yes, that’s why it’s very difficult. But the writers are doing an incredible job. There are no references. The film’s budget is huge and almost triple the size of Housefull. It’s actually three movies of the series put together. There’s one hour of VFX and one hour of period setting. It’s not just humor, there’s a lot of administration, preparation, and planning. It’s going to be a difficult process and it will take time. We roll sometime in June. When we made Heropanti, we knew we had a great script. So, it was only after the script was locked, Tiger (Shroff) was included in the cast. But when we saw the film, we realized that Tiger has a great X-factor. So we tried capitalizing on that in Baaghi and it paid off. People were surprised with the way he did his action and the way he performed the stunts in Bangkok. It becomes difficult to devise strategies to cross a film like Baaghi. But the team including Tiger and Ahmed (Khan), worked day and night on that and they have done a brilliant job. Everyone will see when they watch the Baaghi 2 trailer this Wednesday. I had a story with me for a long time and I asked them if they are ready to execute it. It was adapted from a South film. The designing and execution of stunts are unbelievable. When you see the action, you will understand that it was very painful. The way they have shot an action sequence is the way any other actor would do a scene. From 7 am to 7 pm, they have worked tirelessly, despite the restrictions of locations and injuries. When I saw the rushes, I was really happy with the result. People will expect the same once they watch the trailer. Talking of Tiger, you have launched some new faces and now, you are introducing another lot of actors. What’s the plan? Officially, at present, I’m launching Ahan Shetty and years ago, I worked with his father (Suniel Shetty) on Waqt Hamara Hai. So, it comes a full circle. I’ve always been doing it but now, it’s coming to the forefront. Apart from these, there are other films that you are backing. There’s Shiddat, which you are co-producing with Karan Johar, Super 30 with Madhu Mantena and Nitesh Tiwari’s next. Tell us more about them. What happens is one day, you sow seeds and suddenly you see them growing. I wanted to make such kind of films. I loved Toilet: Ek Prem Katha. So, I signed Shree Narayan Singh, who’s working on a film for me. I liked Hindi Medium, hence I’ve got Saket (Chaudhary) on board for his next. Then, there’s Nitesh (Tiwari) who is doing a movie with us. It has Sushant Singh Rajput and we are finalizing the remaining cast. Once that is locked, we will announce it. Shiddat was part of our deal when Karan and I came together for 2 States. Along with them, there’s Hrithik’s Super 30 which is one of the finest scripts that I have heard in recent times. So, you keep working and someday, you feel you have a lot on your plate. Fortunately, we are not a public limited company, so we don’t need results to show our investors every quarter (smiles). Whenever we like a script, we go ahead. Rohit is writing a script and he takes his time. He usually writes his first draft with the screenplay and dialogues. He hasn’t completed that yet. It’s in the final stage and nobody will disturb him till he’s ready. So, all this news about him approaching an actor is just speculation. Isn’t it a sci-fi film? I don’t want to comment on this because if I say something, it will be tagged to the film while he’s still writing it. Yes, I was extremely nervous while making Kick as it was my directorial debut. I would keep thinking if I was doing justice to it. When it did well, we decided to make a sequel. 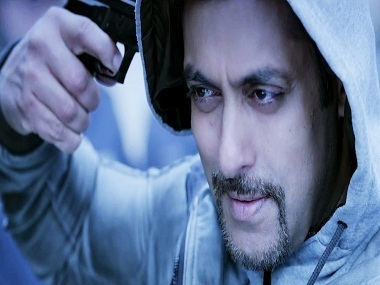 Now, I’m not that nervous, but anxious to begin work on Kick 2. With Salman (Khan), you can’t just sit back and not deliver. So, let’s see. The plan is to start it in 2019 and release it on Christmas that year.